Book your placements with Limited Winter Discount & Get your Priority right now! Boost your placements! 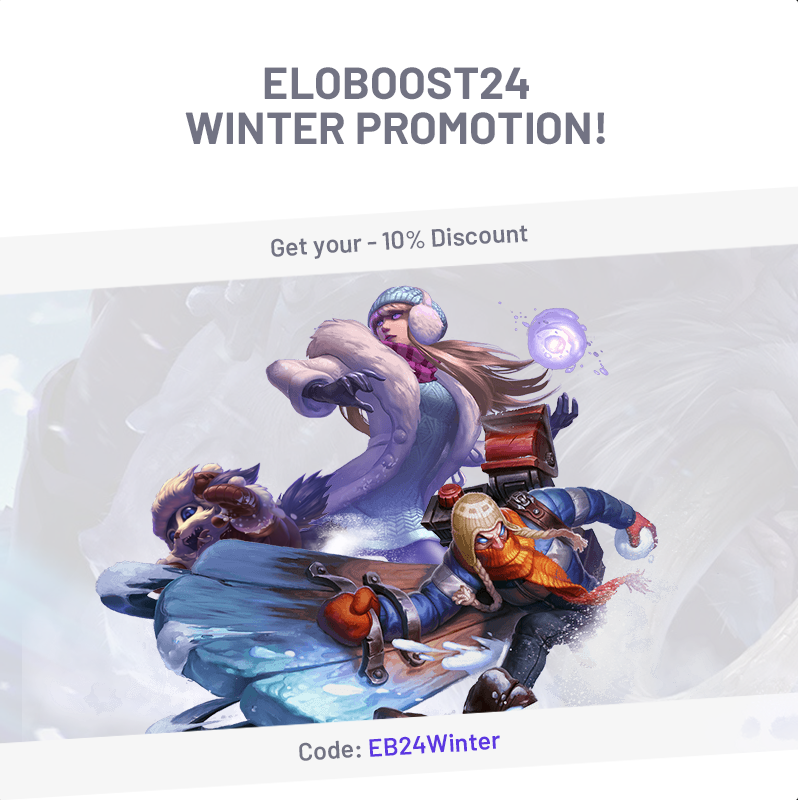 On such a cold season, what we want is a warm discount that can help us get our desired boost for so low that it even warms our hearts! We have more content just for you! EB24Fiesta, here it is! Look at this discount! 30% OFF on a Platinum 1 account, how awesome! If you want to get your Platinum border and have a great MMR overall, this account is just for you! SEASON 9 IS HERE! Finally, after waiting so long we can finally start again and grab our rewards for this amazing year! EB24Fiesta is here as well to show you an amazing deal that we are having so you can celebrate with us! Grab this amazing placement deal with a 15% discount! 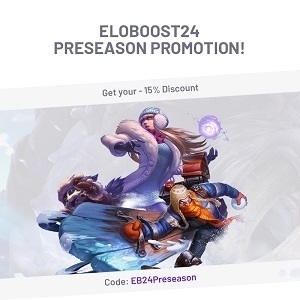 EB24Fiesta is still celebrating the first day of season 9 with a lot of amazing boosters and amazing discounts! 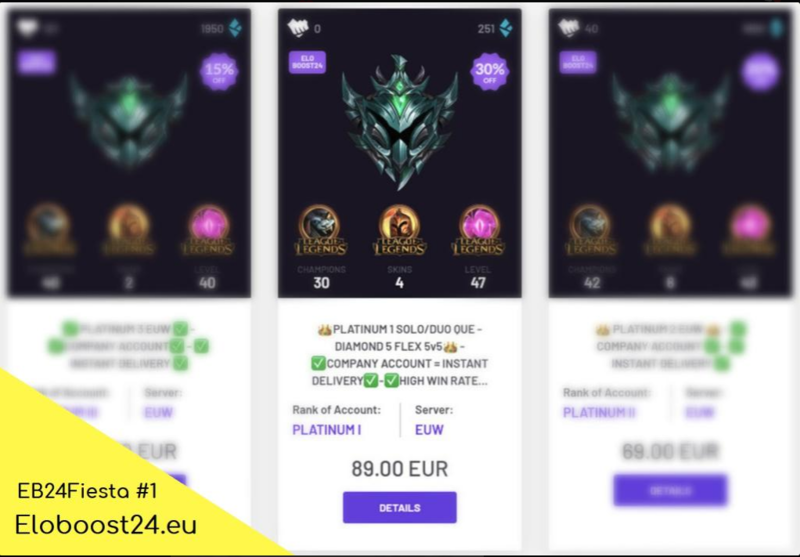 Look at this EUW placements Platinum with the 15% discount, not even 35€! How amazing! Let's keep celebrating! 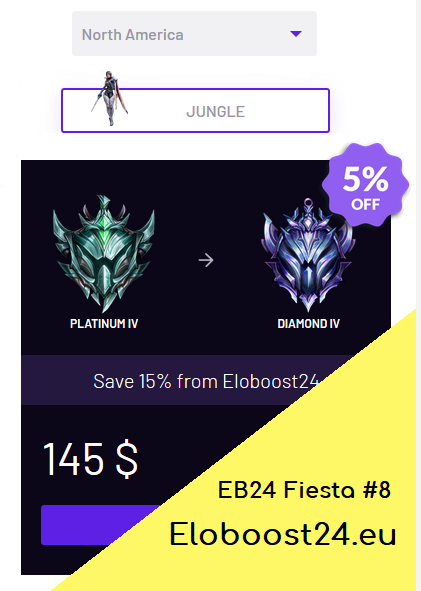 EB24Fiesta is having its last moments for the first day of Season 9 and brought you these amazing placements Silver NA with the specific role on MID for less than 30$! What an amazing way to end the first day of Split One on Season 9! EB24Fiesta is back! And this time it brings awesome boosting packages for everyone! 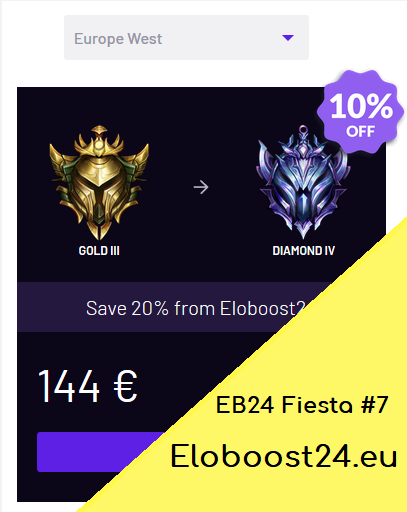 This first round he brought us a EUW boosting package from Gold 3 to Diamond 4 for 144€! You have to take this package now! 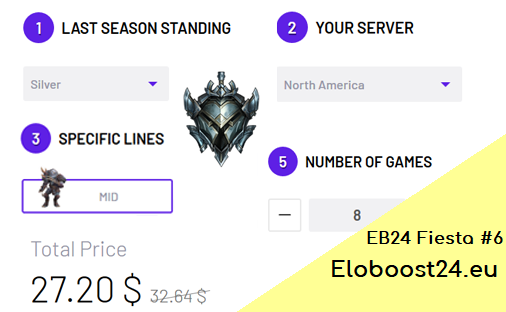 North America boosting package? EB24Fiesta has something for you too! 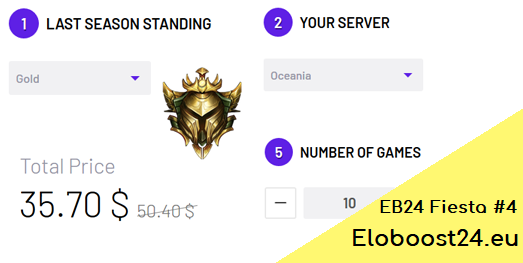 Specific jungle this time but you can select any role you want! Want to get Diamond this season and just got placed to Platinum 4? Then grab this opportunity! 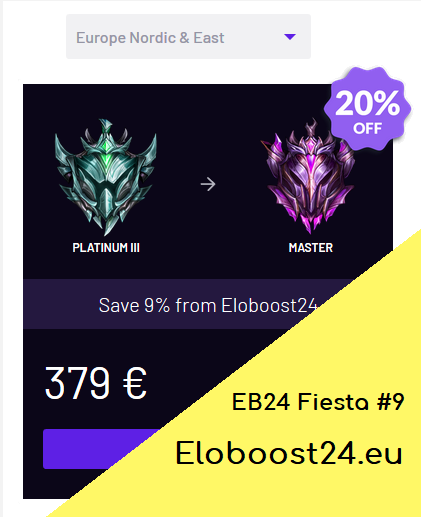 EB24Fiesta wants to finalize the day with a EUNE boosting package for less than 400€ you can get Master! How awesome! EB24Fiesta hope you can enjoy these packages and get more on our website! 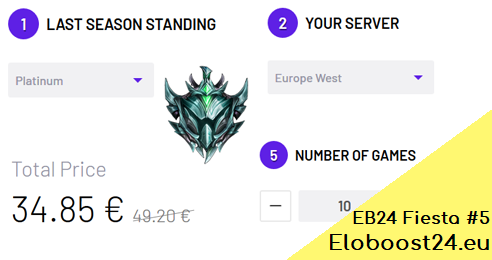 Yes, we have more boosting packages with crazy discounts, you can check them! Carnival is here and we want to celebrate! Just feel the euphoria and grab this promotion! The flowers are blooming and so is this gorgeous promotion! It's April Fools! Will, you get yourself fooled? - Eloboost24 has a limited promotion for you, and it's not a prank!